At the TechCrunch event dedicated to robotics, the founder of Boston Dynamics Mark Raybert announced on Friday that his robot dog SpotMini is already in the “pre-production stage”. The company will begin selling robots in 2019. While it is not clear who can buy them and for how much. The SpotMini can go up and down the stairs. The first version of SpotMini went, rolled and even put objects in the dishwasher. 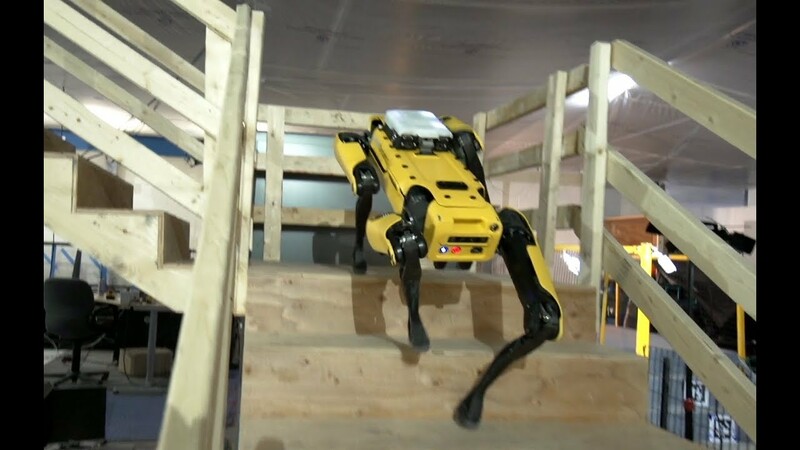 Last year it was updated and now it can walk independently using autonomous navigation. Earlier this year, Boston Dynamics released a video on which SpotMini opens the door for another robot. Also at the beginning of the year there was a photo of CEO Amazon Jeff Bezos , strolling with one of the robotic dogs Boston Dynamics. Last year, Japanese SoftBank bought Boston Dynamics from Alphabet. The acquisition will help SoftBank get into the next wave of smart robotics. The amount of the transaction was not disclosed.